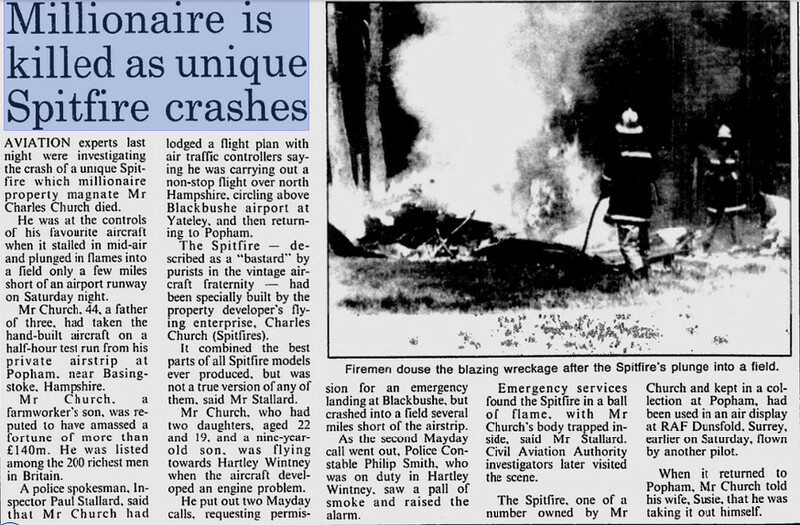 Glasgow Herald on 3rd July 1989 - Charles Church, KB976's owner at the time, was killed in a Spitfire crash. Prior to his death legal proceedings were ongoing with British Aerospace to attempt salvage the Lancaster project. Eventually these came to nothing in respect of the aircraft's restoration and sadly the project was abandoned. "I spent nearly a year getting KB 976 ready to fly back to Strathallan and in 1987 when Charles Church purchased it from Willie Roberts, I went with the aircraft and was the project manager on behalf of the owner Charles Church. I was there when the roof at Woodford collapsed and was with the project for Charles during the "battle" with BAe at Woodford to try to recover it from the mess it was in. During this time, I went to Edmonton and purchased the fuselage of KB 994 from my friends who owned it and had it parked at Namao air force base. Then later we purchased the Lincoln off Mike Woodley to help sort the project out. 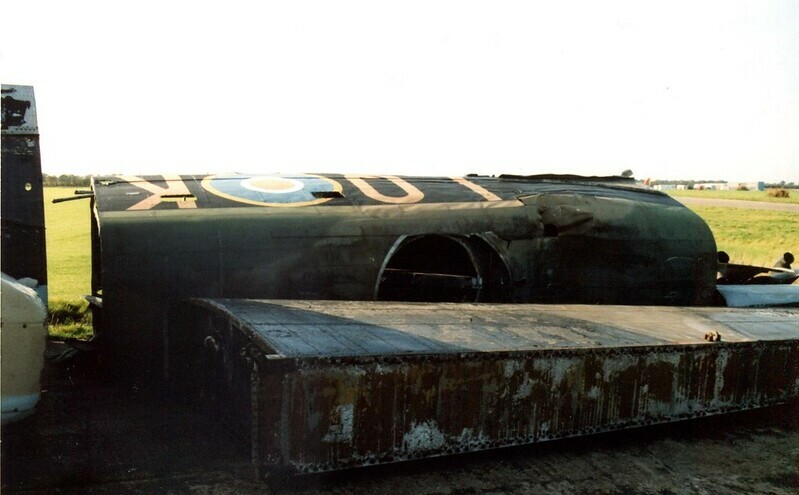 Around this time Charles was sadly killed and the Lanc project came to a halt and I stored the Lanc components with Bill Fisher in the wilds of Lincolnshire....after that it was out of my hands. " The aircraft fuselage was relocated several times in England as new owners attempted to rebuild the aircraft.